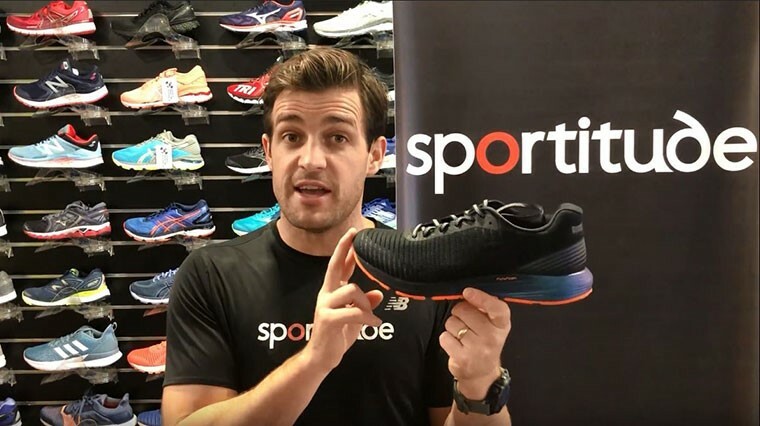 Rocketing onto shelves mid-2018, Josh reveals how the new Asics DynaFlyte 3 stacks up against the Asics DynaFlyte 2 and highlights its suitability for speedwork or tempo style running. Horizontal straps across the forefoot provide a custom fit to accomodate the natural expansion of your foot as you run, offering slightly more wiggle room. Updates include FlyteFoam Propel in the midsole for increased responsiveness and a firmer feel, and a full contact point outsole that’s common to modern Asics running shoes. This specific colourway provides 360 degree reflectivity, not only increasing your visibility but making this flash new ride a heck of a lot of fun to take for a spin. Hi guys, Josh from Sportitude today coming at you with a shoe review on the new Asics DynaFlyte 3. It’s just landed in the middle of 2018. There’s a bit that changed in this shoe that I’d like to touch on in this shoe review and compare it to the previous DynaFlyte 2 and we can go from there. 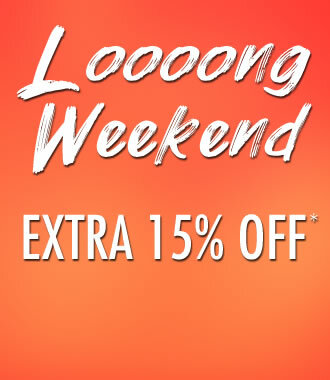 Without further ado lets get stuck in. I’m holding here the reflective colourway. It comes in men’s and women’s in a gender-neutral design. What I mean by the reflective colourway is that 360 degrees or the whole way around the shoe there is reflective panelling, stripes or flashes. I’m going to take my phone out, take a photo and see if I can prove my point with a little snap with my flash. It’s reflective. See those little stripes, the logo lights up and then obviously the heel on the back. It’s nice and bright. There’s some cool features about that shoe. It’s not going to make you run any faster, however it’s a wicked little feature that’s going to add to the jazz of this shoe. Let’s talk about where the DynaFlyte sits in this whole running scheme. It’s by no means what we classify as a mileage shoe. It fits into that tempo style running or speedwork running shoe, so it’s not on the same sort of stack heights of cushioning system as your Cumulus and Nimbus in the Asics family. 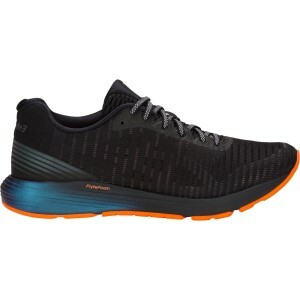 However being a lighter shoe, it’s going to be enjoyed for those persons that like to do some tempo runs, really speed things up and hit the ground with some sort of force. It has a 10mm heel-to-toe offset. It does ever so slightly cater for a heel strike if you need it to. However, I don’t like to put too many heel strikers inside this shoe because after that first point of contact zone and as you come through to the midstance phase, there’s probably not enough support to hold your foot in the right position. It’s really designed for that tempo runner hitting that midfoot region. In relation to all my shoe reviews I like to start from the ground and work my way up. Let’s talk all things outsole. Like a lot of brands in the past 12 to 18 months, we’re looking at shoes that have full contact points. As you can see the outsole from the heel right through the forefoot, there is a rubber piece all the way through. Perfect time to do this, I’ll compare it to the DynaFlyte 2. I’m holding the DynaFlyte 2 ladies in my hand. As you can see through what we call this midstart section, there is exposed EVA on that lateral side. However, you can see there is a Trusstic System which essentially has given that shoe some support in the past. That Trusstic System has been in the DynaFlyte 1 and the DynaFlyte 2. However, for DynaFlyte 3 they’ve taken it out and they’ve gone with full contact point. It does make the shoe a fraction lighter, but not catastrophically lighter. You won’t put it on and go, “It’s so much lighter than a Trusstic System”. It's just taken out to reduce the weight ever so slightly. I’m going to quickly touch on the midsole for the DynaFlyte 3. There’s not a lot to talk about in relation to the cushioning system. You’ve got the FlyteFoam midsole the whole way through heel-to-toe. However, Asics have made the midsole slightly firmer than what they have with the previous DynaFlyte 1 and DynaFlyte 2. By doing they’ve added a top layer of FlyteFoam Propel. That gives the shoe a more response through the gait cycle, so you’re staying on top of the ground for a little bit longer. It will potentially add a little bit more life to the midsole of the shoe from the DynaFlyte 3 not being as soft, essentially meaning it won’t compress at the same rate. As you come up to the upper, we’re talking about a shoe that has a few little underlays which sits underneath the jacquard mesh which gives it that little bit of strength and integrity. It’s done by hiding the support system in the Asics logo. When I showed you before the photos of the logo and how it lights up, you will see that the straps essentially go from the midsole right up to the lacing system on the lateral side and the same thing with the medial side as well. The logo isn’t just there for the cosmetic features. It does play a critical role in the support system in the upper as well, reinforcing the upper from the midsole through to the lacing system. I didn’t find it overly deep through the navicular region and that being said, it’s not the shallowest shoe out there by any means for tempo running. Just throwing that out there because if you’ve got an orthotic and it has quite a raised arch it might not be a great shoe for you to consider for your tempo running. That’s just my own personal opinion. There are certainly going to be orthotics out there that fit this shoe absolutely fine, just with my orthotic that had quite a raised arch there’s a bit of a tight squeeze for me. You can see like they did previously, it has a mesh configuration as it come through to the forefoot with horizontal stripes across the top. What I do like about that is it allows for a slightly more customised fit through that forefoot, so when your foot every so slightly expands during your running session, whether it be a longer, slower run or tempo session where you’re doing some fartlek running. I did enjoy the amount of expansion I got through that forefoot. It just gives me a little more toe room. However, I’m just alluding to the fact it’s a bit shallower through the navicular region. The internal heel counter at the back is nice and deep. I liked it, it’s a good deep fit for me. With my orthotic with a slight heel raise there’s no issues whatsoever with the fit of the heel. However, for a neutral foot type or a neutral foot type that doesn’t have any device in the shoe I think you’re going to enjoy the extra support back here. What we find with runners that look at shoes that are designed for more speedwork where you’re not really coming down like a traditional heel strike, you’re coming down midfoot-forefoot, that a lot of people wonder, ‘What’s the point of having support back here? It’s just extra weight to the shoe that I don’t need”. If you’re hitting midfoot-forefoot coming down through here there is still room for your calcaneus to move because it's not necessarily the anchor point on contact. It still plays a critical role keeping your foot stable and your ankle stable. It’s essentially the bone that takes the load from the ground and almost works the hinge with the rest of your ankle. For midfoot-forefoot strikers it’s still vitally important your foot is stable through this back region. That’s why Asics have still stuck at some integrity, kept it nice and stable, deep and strong. Even for that midfoot-forefoot runner, we don’t want any movement through your calcaneus because it’ll just add extra stress to your ankle through your running session. There we have it guys, the Asics DynaFlyte 3. Great little shoe with some cool features. There are a few colours to pick from in this range over the next 12 months, not just the reflective number but I thought I’d do my review on this little guy because it’s pretty cool. Thanks for watching. If you have any questions or if you'd like to see me do a review on a specific shoe please contact us. If you haven’t subscribed to our YouTube channel, please subscribe. There’s more shoe reviews coming later this year. Until next time, happy running.